The musical, born from the musings of author Chris D’Arienzo, premiered the summer of 2007 in Los Angeles. 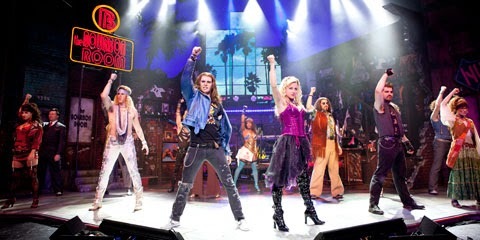 As of January 2014, Rock of Ages is the 33rd longest running show on Broadway. This year, the NFL has stuck its toe in the musical theatre waters with appearances by several players in the Broadway venue.